Black Jade from Wyoming set in a Sterling silver and copper Bracelet. This particular bracelet was donated to Western Design Conference for auction this September 2014. 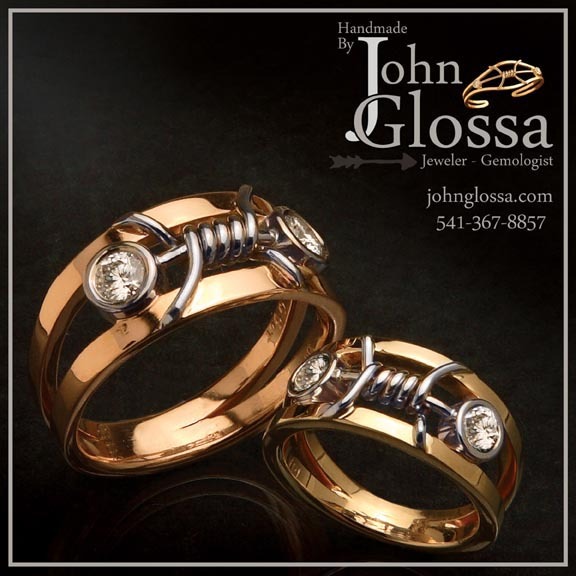 This is a special bracelet, hand-fabricated in sterling silver with highlights of pure copper. 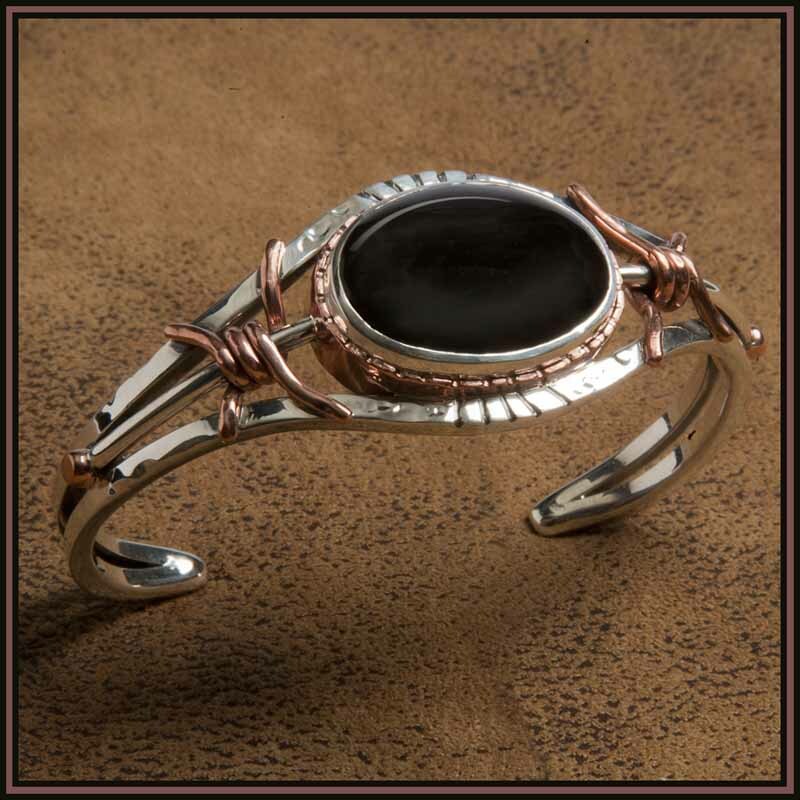 Bezel set in the center of this piece is an oval cut cabochon stone –Wyoming Black Jade. 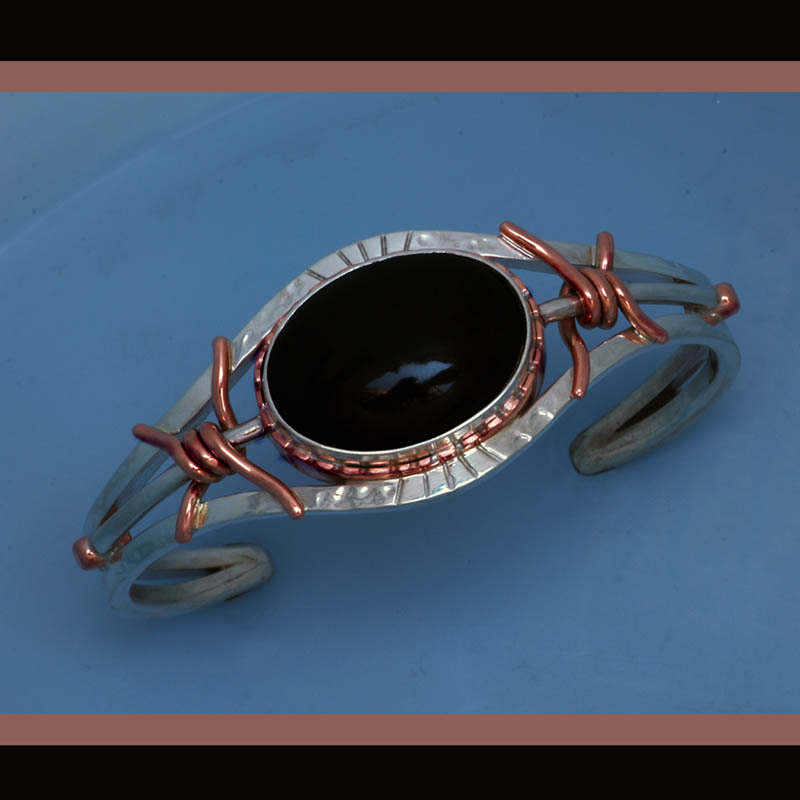 The Black Jade measures 1 ¼ x ¾ inches and is a wonderful contrast with the silver and copper. This bracelet is a bold design and sure to give years of enjoyment.